Randi and I watched the Golden Globes together. We loved watching the stars in all their glamour. Some dresses we loved...some, not so much. Lala Land swept the night and we were thrilled. (We can't wait to see that movie again and again)! Everything was beautiful...the hair, the make-up, the jewelry, and...the words. All of the acceptance speeches were warm and heart felt, however, when the wonderful Viola Davis walked out on stage and spoke about being made to "feel enough" by someone who could "see her", I was on the edge of my seat. 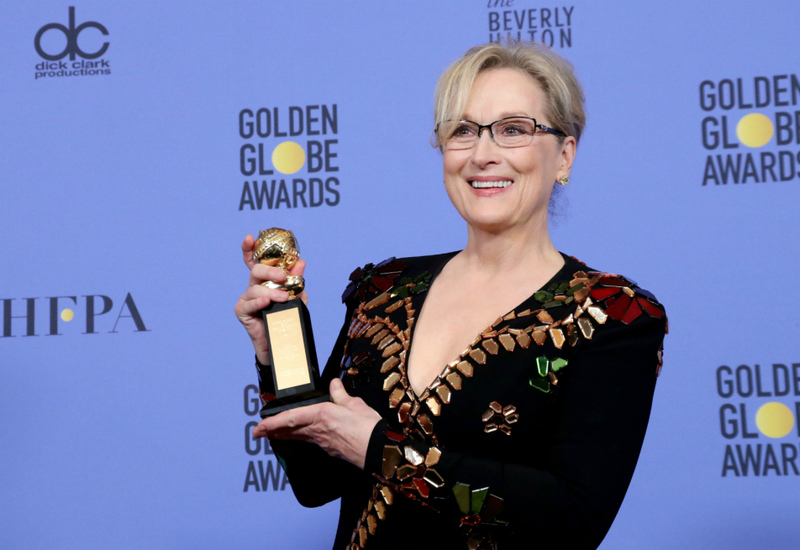 When THE Meryl Streep took the stage to accept her lifetime achievement award, the room went silent. The queen was speaking. Her speech was moving. She spoke to all of us. She spoke about a performance made by someone else. Someone who bullied and made fun of others. Someone who put down other human beings because of where they came from, their gender, their religion or the color of their skin. You could tell she was disgusted by this individual. She never mentioned this person by name, but we all knew who she was talking about. Soon after she spoke with such class and intelligence, she was attacked by those who do not share those same traits. They attacked her for using her star status to share her opinion. (Right, because nobody else does that). They called her a below average actress. (3 time Oscar winner and 19 time nominee). They shouted, "it's not the place for politics...actors and politics don't mix"! (One of our former presidents was a movie start and our current president elect is a reality TV star). They stated that Hollywood is out of touch with reality. (Have you seen pictures of our president elect? Family photos? Where he lives)? It's hard to hear the truth sometimes. But, she spoke the truth. Ugly words did not spew out of her mouth. No names were said. She spoke with poise and intellect. She spoke from her heart. And, she spoke with guts. I'm proud to have role models in this world like Viola Davis and Meryl Streep. I'm proud to be a woman with them in my corner. This weekend brings the Women's March all across the country. 1,200 bus slots are reserved for the Women's March in DC. Here's to a weekend full of guts and class. Speak your mind...with poise and elegance.